← Another Boston area resident speaks . . .
My friend and fellow UFO buff Paul Crawford today emailed me his review of the Sirius film. Paul’s review dovetails with my own Short Review. Below we have Alejandro Rojas of openminds.tv (the producer of the annual International UFO Congress) weighing in. Rojas contacted the scientist who gave the long soliquoy on the mystery of “Ata” at the end of the movie. I found it interesting that having worked closely with Steven Greer and his cohorts, he he says now takes ET/UFO seriously, despite apparently negative results in this particular case. Also, do pay attention to all the comments that follow this story. So many interpretations of “Ata”! That’s what ufology does to you, explodes your fixed ideas into a zillion possibilities. I’d say it’s almost as good as meditation for defragging the human hard drive . . . The Sirius documentary was finally released and the question as to whether the Atacama humanoid is an extraterrestrial has been resolved, at least according to the scientist who analyzed the DNA, and the results are that he is human. However, the mystery doesn’t end there. Although, it is not an extraterrestrial, their findings show it may have been a 6-inch Chilean human that survived for 6 to 8 years. These findings may not be the “potentially profound and historical announcement” that many were hoping for. However, no one can argue that a promise the film did make good on was the high level of credibility of the scientists involved with the study. Although, this claim is astounding, the colleague Nolan is referring to is someone whose opinion should not be taken lightly. 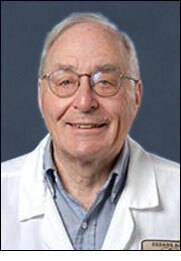 He is Dr. Ralph Lachman, Co-Founder and Co-Director of the International Skeletal Dysplasia Registry at Cedars-Sinai. 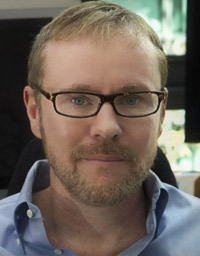 He is also the author of the textbook, Radiology Of Syndromes, Metabolic Disorders And Skeletal Dysplasias, a book referenced by students and practitioners. Skeletal dysplasia is a condition that can cause abnormal bone development, including variations in size and shape. I have examined in the course of my career many skeletal and other pediatric bone anomalies and dysmorphias. This specimen does not fall under any known, to me, class of disorders or syndromes… there is no known form of dwarfism that accounts for the anomalies seen in this specimen. Most interestingly, based on knee epiphyseal standards, the specimen appears to be 6-8 years old. While there remains a possibility this latter result is due to some form of unknown progeria (rapid aging syndrome), in my opinion this is a low probability. Although I was not a big fan of the movie, even I know that is NOT what was said in the movie. True that they have partialy sequenced the mitochondrial DNA, which is the most understood and predicable of human DNA. But there was no mention of the nuclear DNA which is many, many base pairs longer and not as understood as the mitochondrial DNA. It was a partial result and that is all it was. It will only be until they sequnece the total DNA that a definitive answer will be known. Alejandro I respect you but you did not do your homework on this one. In the name of everything sacred, please just leave the little Annunakis alone. What will you dig up next? Alejandro Rojas, I appreciate that you contacted Dr Nolan directly, rather than only using selected quotes from the film. That could have painted an incomplete narrative as Lee Speigel did, in my opinion, in his Huff Post article. I have to point out though that Dr Nolan never specifically asserted that the being was “not extraterrestrial”. He only reported that the genetic analysis that he conducted indicated high percentage known Human sequences, and based on that information his conclusion is that the being is Human. I think that his response to your question if he had any doubts is very interesting. It would be unscientific to conclude that known Human genetic material is exclusive to Earth, as there haven’t been any publicly acknowledged studies conducted on non-terrestrial beings for comparison. It will be interesting if this study is accepted for peer-review publishing in academically accepted scientific journals. Michael: Thanks for your respect, I appreciate it. However, as for me doing homework, it is not my homework, I do not know enough about DNA to do homework, that is why I asked Dr. Nolan. I wanted clarification from his statements in the movie, so that is why I got direct quotes from him. I am not sure if you read the story, but those are his words in an email to me, not mine. Technovative: His statement clearly shows he does not believe it to be an extraterrestrial. Being a good scientist he says he would look at evidence to the contrary. He is no longer pursuing the extraterrestrial question. 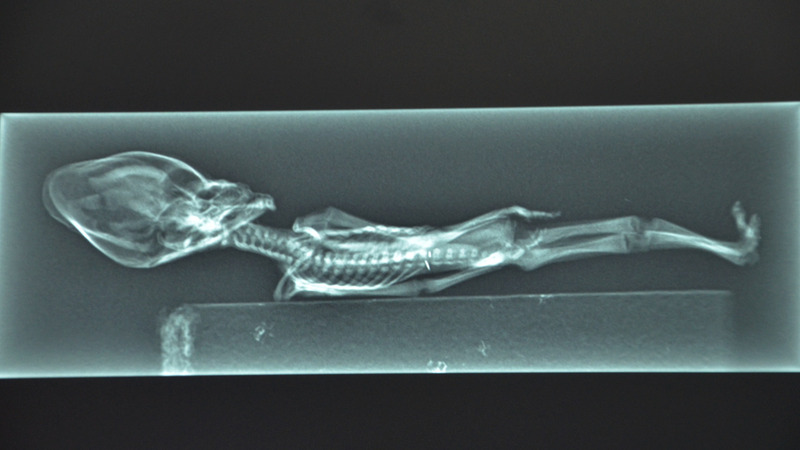 His big question, which is an interesting one, is why the bone analysis showed it to be 6 to 8 years old. In the past humaniods visited earth and setteled for a new start. However they found out they could not overcome the treaths and climate due to theyr small size. So they geneticly manipulated the beeings they found most similar to them, the apes. There, after thousands of years, the modern human comes to life, still with big parts of the DNA possesed by our ancestors. So for those who are to blind to see, open up you’r eyes, because this is our legacy, this is where we came from, thousands of thousands of years ago. Well, that’s at least what i think happened. I’ve looked at the little body’s high rez pic’s on the Disclosure project’s web sight and I can clearly see an umbilical cord coming out of the stomach. I feel that this is leaning heavily in the direction of this being a still birth human fetus that mummified in the arid conditions of the Atacama desert. Anyway, no one has said anything about the effects of mummification on fetal tissue, and what fetal bones will look like when the body is totally mummified. Marius Olsen is right. Our planet is visited several times and already for hundreds of thousands of years. They have stored their ET DNA in earthly life forms; the best way to preserve their unique genetic codes in an unfamiliar environment. Could the possibility of the fetus being an undeveloped twin inside another person explain the 6-8 years age? I’ve seen an account of a person in India carrying his own twin inside of him for many years in an undeveloped stage. When you consider how extreme the mutations seem to be, it seems almost impossible to imagine a normal human birthing this supposed being. If it is in fact real and not a hoax, and it was in fact six to eight years of age at the time of death, I can only wonder if it was a member of some strange ultra-dwarved jungle population that could possibly still be extant. Maybe there are little people like creatures runningt around in the Chilean jungles or wherever this thing came from. I think clearly what we have here, is some type of hybridization between an alien race and Female Chilean. This has happened before, and there are multiple stories of something not-earthly artificially fertilizing a human. The most popular story being Virgin Mary. I have to agree on some parts with you. They refer to ‘gods’ and humanity beeing created in their likelyness. This just means we were genetically modified ( Like we can do to vegetables these days) back in the past. It would explain why aka shows same DNA as us. Try put all the pieces of the puzzle back together. We have ET-contact with civs many thousands/millions years more advanced on technology. They are the so called ‘gods’ every religion refers to. Now stop fussing and fighting over pointless things, we need to unite humanity and learn we’re capable of achieving ALOT more as a group than as a single individual. We’re not stupid primates anymore, let your conciousness talk! Does anybody know when this small lived on earth? What if aliens and humans shared the same DNA? What if Aliens are really humans? – a corpse of a normal creature of its kind, closely related to us, we just have not seen before? In my mind, if you leave the “where it came from” as a different question, the answer becomes obvious. SIRIUS WAS TERRIBLE!!!. this movie was so bad it physically hurt me to watch it. I gave money to fund the film. I could barely see my name in the credits through my fingers as I had to watched the movie with my head in my hand. don’t get me wrong,Dr. Greer is the man, we owe him a lot , and I still believe he is closer to the truth about this subject then anyone, but that being the case this film was not worthy of all the great work he has done. this “alien body” debacle was an unnecessary detour and took time away from the real story of alien interactions with human beings on the earth. this movie hurt more then it helped! I look forward to the day when ufology will stop shooting it self in the foot. This entry was posted in 2013, UFO/ET, waking up, wild new ideas. Bookmark the permalink. 5 Responses to Sirius Film: The “Ata” Mystery, another Rabbit Hole? Everybody is a critique and author as well. I resevrve judegment beyond what we all here and there experinece from what is what and whom knows all? Just thought I’d share since you’ve also had some interesting drought relief from the Nature Spirits! Thrive and Sirius should get together. Thrive was a much more interesting movie. Sirius was too much focus on the littling, for the outcome that was too long, too ambiguous, when it should have been a little more lamen for a simple human like me.